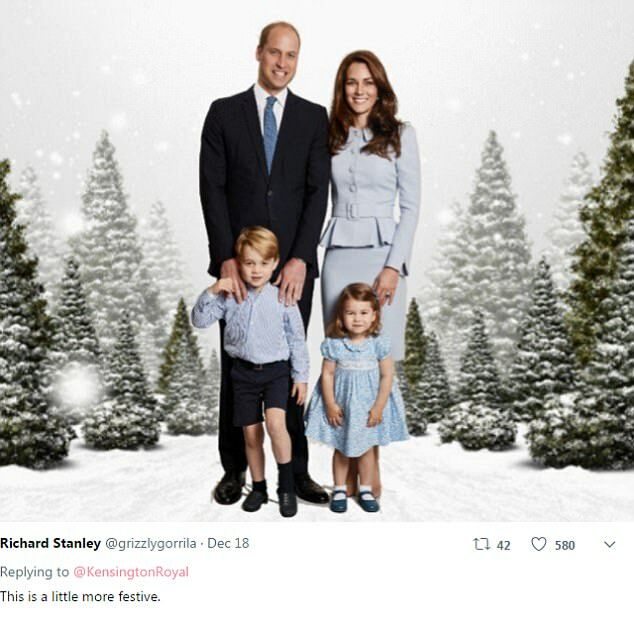 Featuring a plain white background, the Duke and Duchess of Cambridge’s Christmas card this year is a lot more formal than in previous years. 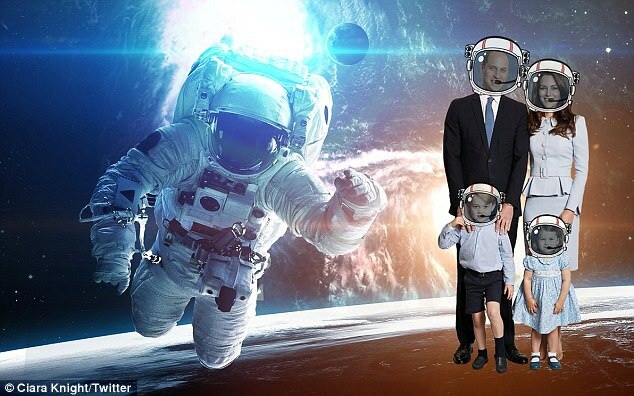 But social media users have added a touch of fun to the family portrait – by adding a variety of colourful backgrounds using Photoshop. 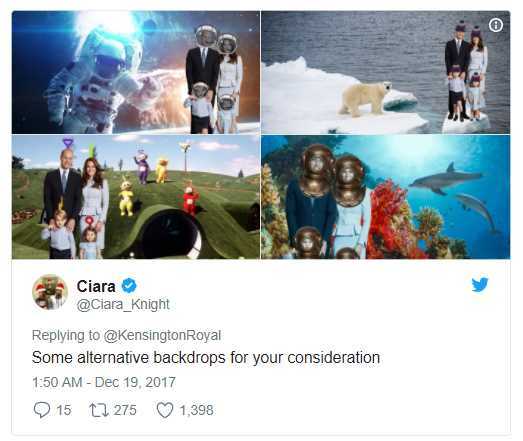 In one image, the Cambridges are seen wearing astronaut helmets while in outer-space. 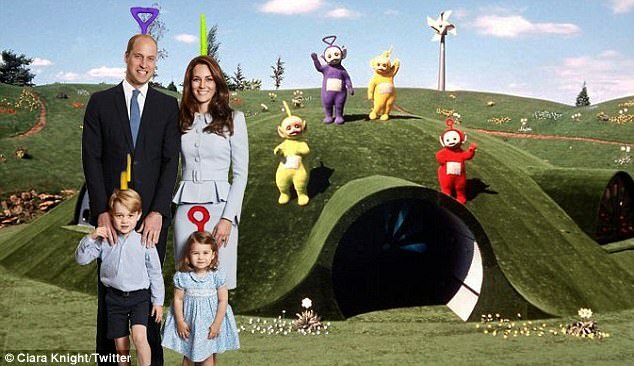 Others show the family-of-four polar-bear spotting in the Arctic and joining the Teletubbies in La La Land. 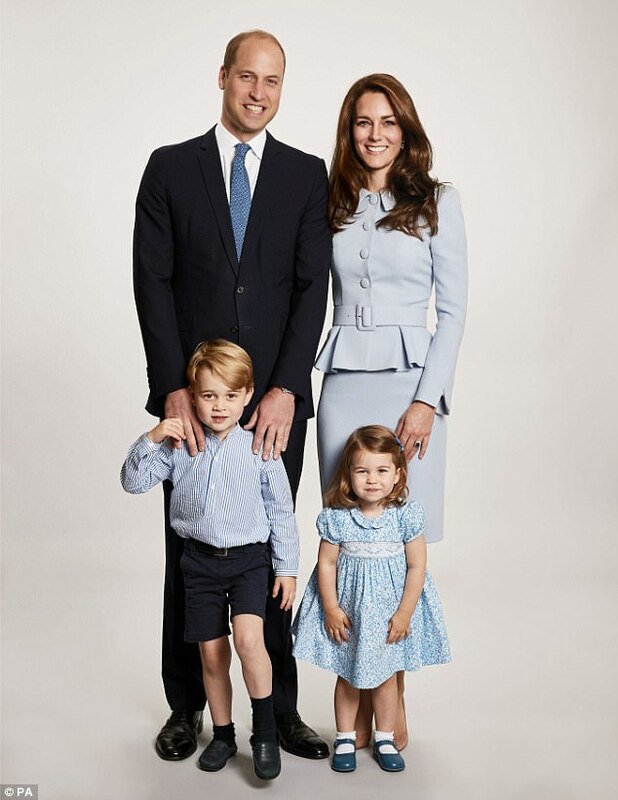 Released by Kensington Palace on Monday, the Cambridges’ Christmas card features a touching family portrait taken earlier this year. 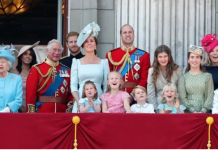 In the image, Princess Charlotte, two, bears a striking resemblance to her great-grandmother The Queen. The toddler is seen wearing a blue floral dress in the image, while Prince George, four, looks smart in a striped shirt and shorts. 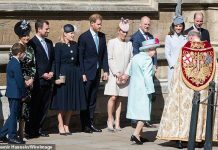 Their parents meanwhile opted to wear matching blue ensembles for the photograph, with Kate, 35, choosing a feminine peplum jacket and matching pencil skirt from Catherine Walker. 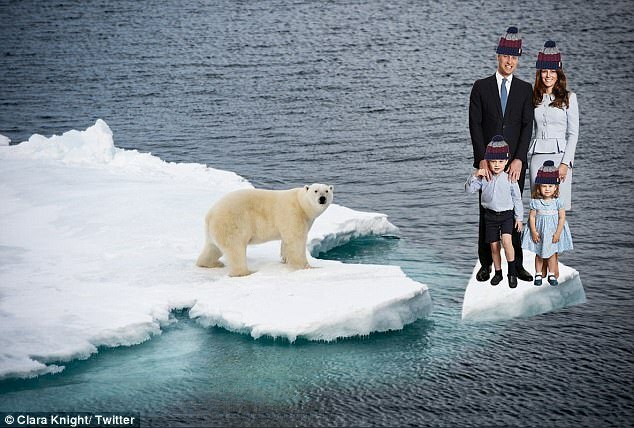 The photograph was taken by Getty royal photographer Chris Jackson at Kensington Palace earlier this year. 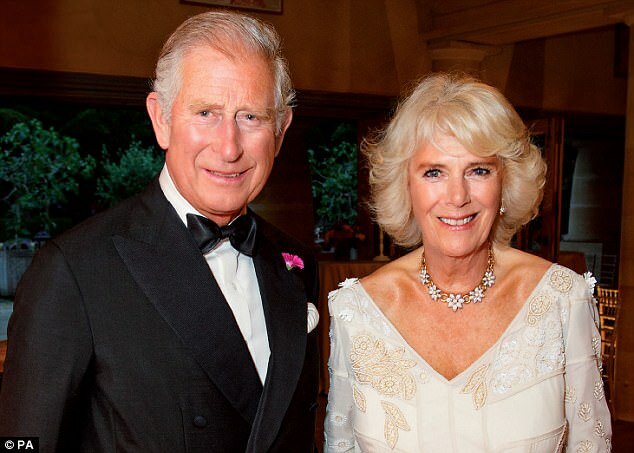 The Duke and Duchess of Cornwall also revealed their Christmas card earlier this week, which features an image of the couple dressed for a private summer party held to mark Camilla’s July 17 birthday. 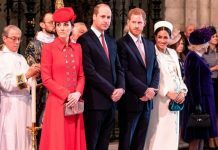 The heir to the throne is wearing a dinner jacket and black tie while his wife is dressed in a dress by Anna Valentine. Inside the card, the words ‘Wishing you a very Happy Christmas and New Year’ printed on the left-hand side and opposite is the photograph surrounded by a thin red border.